On Sunday, January 28th, the 60th Annual Grammy Awards (Music’s biggest night!) took place at Madison Square Garden in New York City, the show’s first time gracing NYC in 15 years. 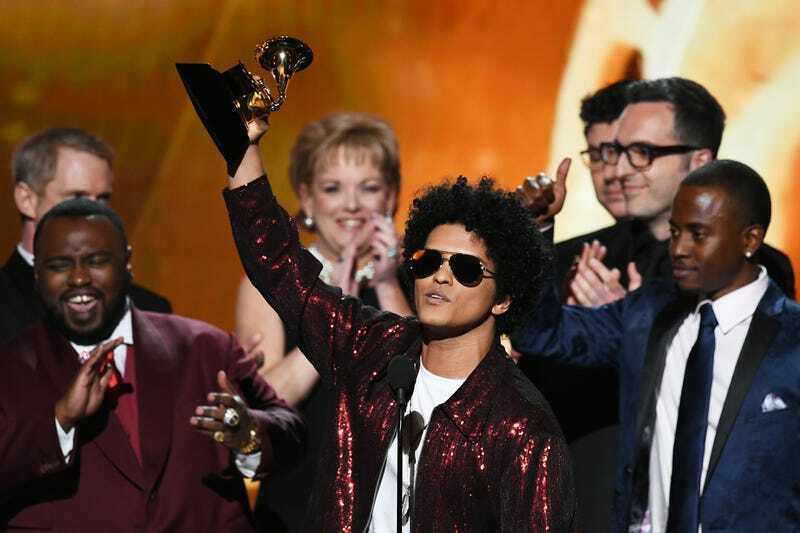 Not a lot happened—unless you’re Bruno Mars, who took home all three big awards (Record, Song and Album of the Year) and then some. In case you missed out, we’ve compiled the award winners here. It’s...unsurprising, which is mostly disappointing. Justice for Lorde!